Once advertising was all about being “on-message” and getting talking points right. But breakthroughs in brain science have confirmed what we all know but don’t often admit to in business: people are primarily emotional decision makers. Chapter 10: “Believability sticks” defines the types of advertising and what type is most emotionally persuasive and the implications of these various results. 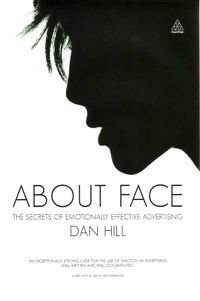 Chapter 10 from About Face: The Secrets of Emotionally Effective Advertising, by Dan Hill, published October 2010 by Kogan Page. Copyright 2010 by Dan Hill. Reproduced by permission of Kogan Page. Copyright © 2010 Kogan Page Ltd. All rights reserved.